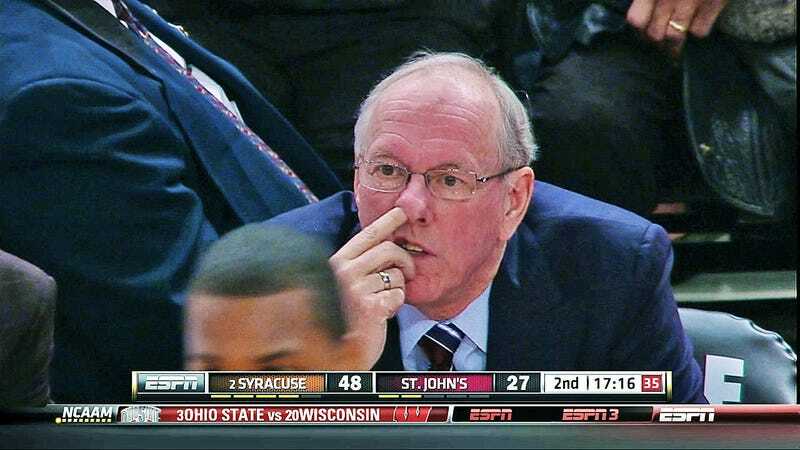 It's been a weird season for Syracuse head coach Jim Boeheim. From continued battles with the media to pro-gun control pressers, it's been a year that's led more than one observer to say it's time for Boeheim to retire. A source close to DYST Now is reporting that Syracuse director of Athletics, Dr. Daryl Gross is expected to meet with the NCAA about possible NCAA violations from last year's team. Syracuse head coach, Jim Boeheim as a result has also been asked to retire. Everything about this is weird, and the @SyracuseU tweet has since been deleted. The DYST Now page is certainly of questionable authority, but why did Syracuse link to it? We'll update as we get more answers.